1. Analyse characteristics of contemporary leadership and compare and contrast these insights with academic and managerial approaches to enhancing performance. 2. Evaluate a range of approaches to engage and motivate employees as part of a contemporary performance management culture designed to enhance sustained productivity improvement in the face of increasing global disruption. 3. Critically appraise and reflect on one’s performance as a leader, manager and developer of self and others, identify strengths and priorities development opportunities. 4. Employ group dynamic concepts as a means of developing superior performance through effective leadership of real, virtual and diverse teams. 5. Demonstrate the application of intellectual rigor and scholarship to be ethical and Socially responsible leaders and managers of people. 6. Demonstrate a high order of skill in analysis, critical thinking and professional application. 7. Demonstrate creativity and flexibility in the application of knowledge and skills to new situations, to resolve problems and to think rigorously and independently. The unit is built around 10 topics with corresponding readings and tasks. Each topic equates to approximately three hours of workshop and attendance is strongly encouraged. The Student Handbook outlines attendance expectations. ABS recognises the value of providing a variety of learning and teaching methods and modes. In addition to the in-class workshop environment, the MyABS online platform provides the opportunity to learn in your own time through collaboration and peer feedback. 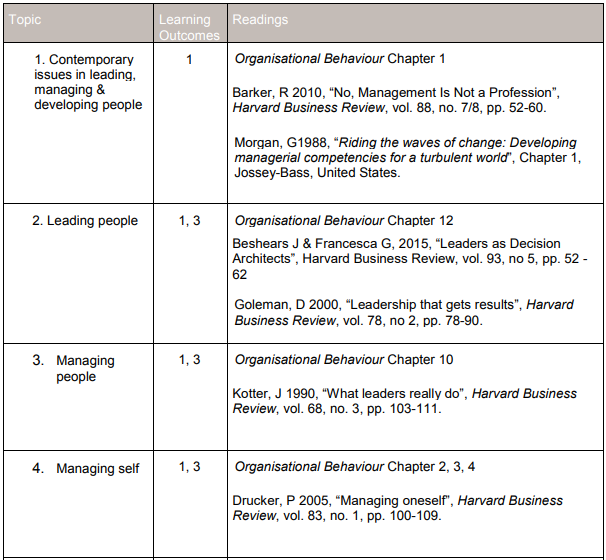 The unit is built around 10 topics, with corresponding readings and tasks. There will be a weekly facilitator-led webinar on the week’s topic. This webinar will last for one hour. It will be recorded in case you are unable to attend. Attendance at all webinars is strongly encouraged. ABS recognises the value of interactive learning and teaching. The MyABS online platform provides the opportunity to learn in your own time through collaboration and peer feedback. The webinars also provide an opportunity for students to interact with their peers. In assessing your performance, we are seeking a demonstration of your ability to apply the knowledge you have learned, either to your workplace or other circumstances, in a thoughtful, questioning and critical manner. The purpose of this Assessment is to evaluate how well you as a manager and leader apply the theory and concepts learned in the unit to a real-life leadership case. You are required to undertake an analysis of your organisation or team (or an organisation or team that you know well) in order to apply the theories and concepts you have been learning about in LMDP, as well as make recommendations for improvement consistent with your analysis. • Does the participant meet the requirements for number of referenced discussion forum entries? • Does the participant demonstrate awareness of key issues and how they could be applied on a personal and organisational level? • Does the participant show, through comments and discussion, the ability to analyse, discuss, critique, explain, question? 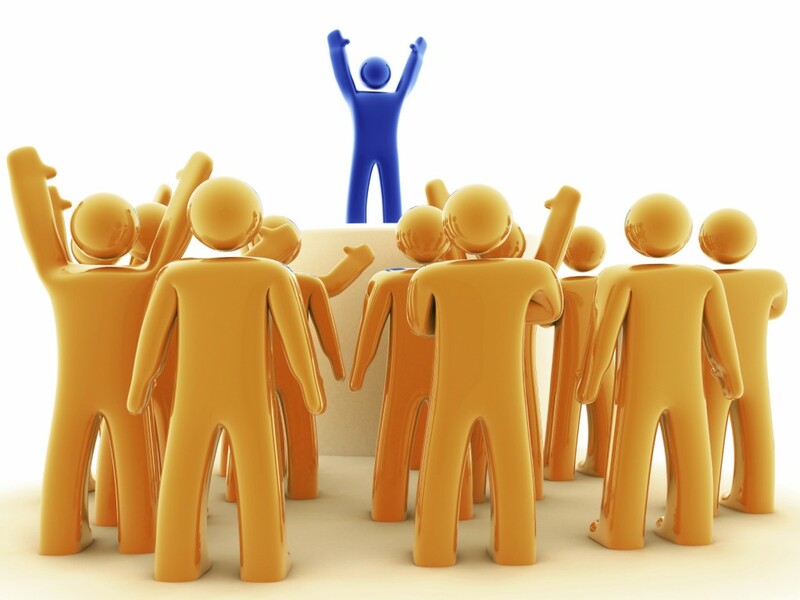 Prepare a Professional Development Plan (PDP) for your own development as a manager and leader. • Your reflective thoughts on your strengths and weaknesses, and the opportunities and challenges open to you. There are no fixed requirements for the format you use: choose a format that suits your own requirements and enables you to capture your thoughts and express your intended actions effectively. There is no fixed requirement for the time frame your Plan addresses. Beyond its purpose as an assessment instrument for this subject, we recommend that you treat this PDP as a living document to be kept, revisited, and revised as a ‘road map’ to guide your professional development. It is recommended that you use the discussion forums to ask your colleagues and facilitator for guidance if you have any questions regarding format or content for this assessment task. There are also support materials located in MyABS to assist you with this Assessment. Your facilitator will provide further details for you during your webinars. 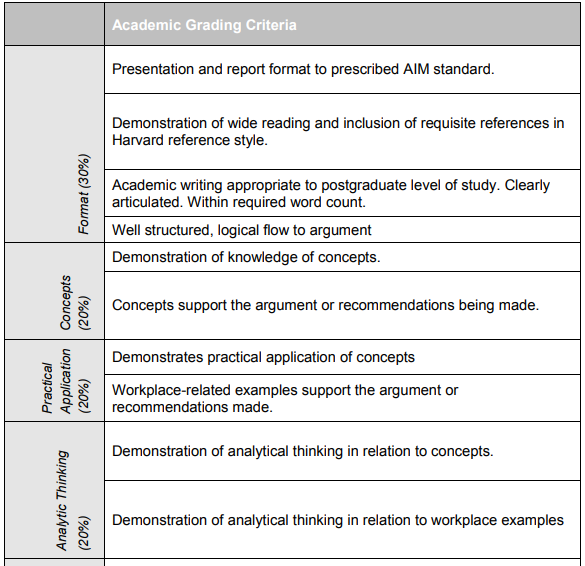 Unless another format is more appropriate to the task, Report format may be used as the basis for written assignments. You may need to include some or most of the following headings depending upon your approach to the specific assessment task and your personal style. Please make use of the additional PDP Assessment materials to assist you with this Plan. Over the duration of the face to face classes, students are required to contribute to class discussions and activities. In some instances, specific research questions and activities will be scheduled for students to investigate and resolve in small groups. In these cases, students are expected to contribute to the group as a whole. This includes responding to answers provided by fellow participants, providing a critique of their answer and backing this up with reference to the text and readings. Please be aware that there is an expectation that any comments made in class are to remain confidential. Please ensure that you abide by both your organisation’s and AIM’s privacy and/or confidentiality policies prior to making any comments. Each week, on MyABS Discussion Forum, you are required to post a small narrative which addresses one of the review questions or topic activities. PLEASE CHECK WITH YOUR FACILITATOR REGARDING WHAT THEY EXPECT. In addition, you are required to respond to two posts by fellow participants, providing a critique of their answer and backing this up with reference to the text and readings. 150 words max. for each post (minimum of 10 posts – 1 each week), at least 5 to be initiated by the participant and at least 5 comments on other participants’ posts (150 words max. each post) by other fellow unit participants.